With this competition, we want to encourage kids to get in the kitchen fostering healthier eating habits, stronger relationships, the enjoyment of tastier food, and a curiosity for diverse cultures. 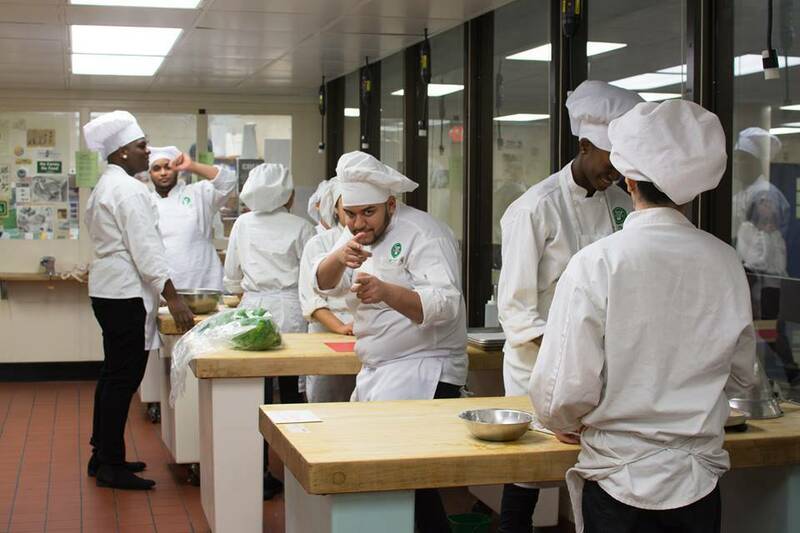 No culinary TV show could match the enthusiasm of both participants and public at the final round of the first-ever Colavita Culinary Challenge that took place at the Food and Finance High School (FFHS), the only culinary high school in New York City. 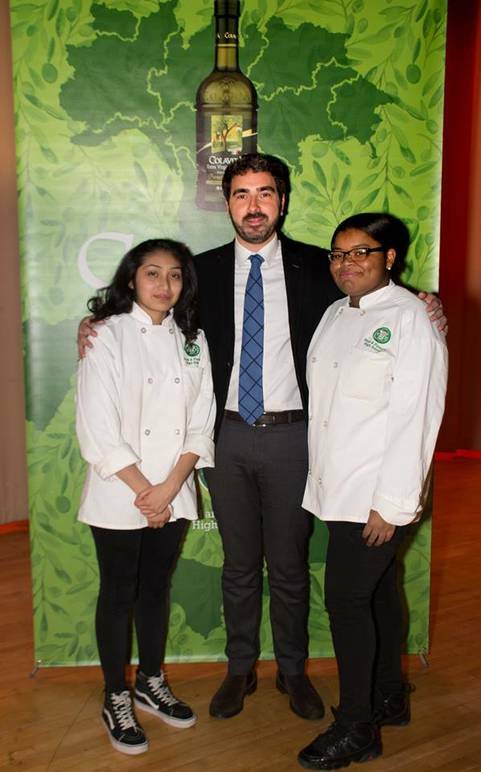 The students of this public high school in Hell's Kitchen focused on the culinary arts had been prepping for months for the cooking competition sponsored by the Italian olive oil producer Colavita and the Food Education Fund of FFHS. 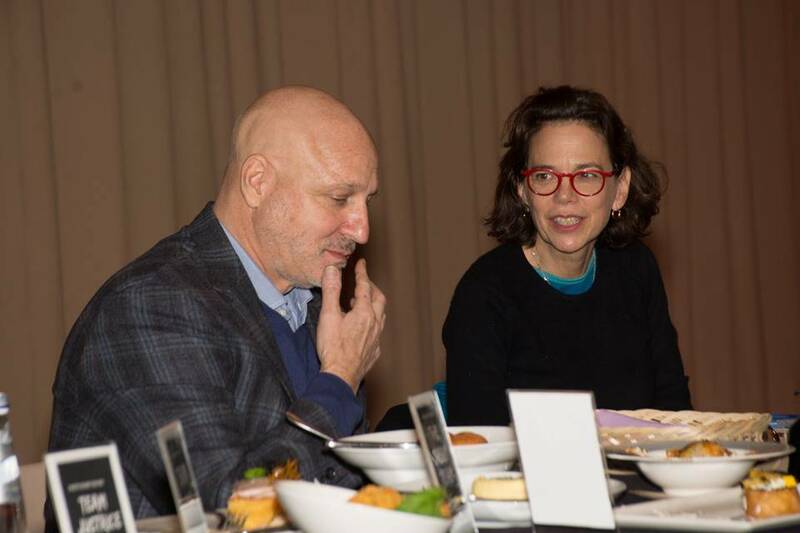 The competing dishes were evaluated by Top Chef judge Tom Colicchio and former Food & Wine editor-in-chief Dana Cowin. Only five teams of two people each were selected among 52 students to compete in this third and final round that took place on Friday, January 11; each round had different criteria that test the students’ creativity and knowledge, with the third round testing their abilities in the kitchen. The last minutes in the school’s kitchen were frantic as finalists tried to end their creations on time. They had to invent an original recipe using four mandatory ingredients plus all the ingredients they wanted. The prescribed ingredients were Colavita olive oil, Colavita balsamic vinegar, Colavita polenta, and basil grown on the school's rooftop. Two teams cooked appetizers, one opted for a main dish and two created desserts. While commenting on the dishes, Colicchio and Cowin praised the general culinary high level of the competitors. For Colicchio, some recipes were even better than some he tasted at the tv show Top Chef. 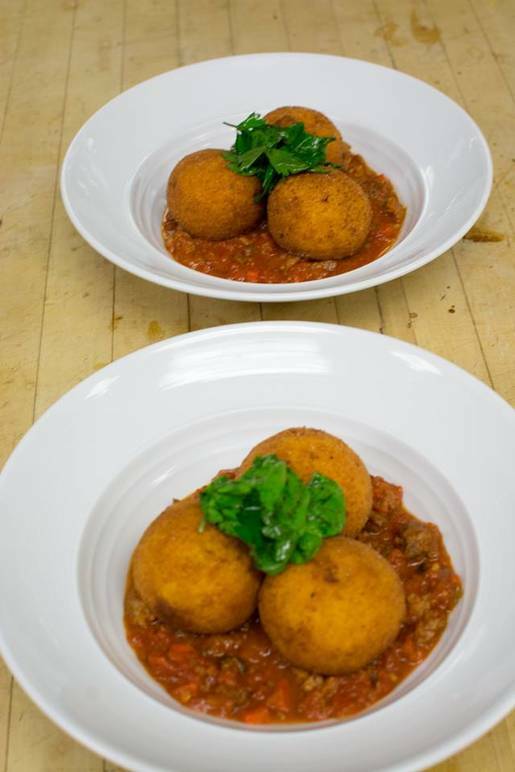 Eventually, Colicchio and Cowin agreed that the main dish, ragù with polenta balls, was the challenge’s winner. It was cooked by Citlaly Hernandez and Kayla Jenkins (Team All Star), 11th grade, whose mentor was chef Jonah Miller. Every team was followed by a mentor. The two students won an all-expense-paid one-week culinary trip to Italy for culinary and cultural education, funded entirely by Colavita, plus a $2,500 college scholarship. They were awarded by Giovanni Colavita, president and CEO of Colavita USA, who said: "This is the first time that we organize a Colavita Culinary Challenge in a high school and we are really impressed by the quality presented today by these students. With this competition, we want to encourage kids to get in the kitchen fostering healthier eating habits, stronger relationships, the enjoyment of tastier food, and a curiosity for diverse cultures." Colavita is distributed in over 80 countries and is recognized worldwide as the top authentic Italian extra virgin olive oil. Colavita is the leading brand in premium extra virgin olive oil, Italian pasta, and Italian vinegar in the USA in both the retail and foodservice sectors.